Our main objective is to spend as little as possible. We work with the space as it is, avoiding unnecessary expenses & construction works. We match existing looks and features together with the furniture and style available in your area. We approach our craft in a similar way a skilled chef creates his/her dishes. We go by taste and intuition not by centimeters. We visualize and remain open to change while your home is being created. We let inspiration add more pepper and salt here and there if needed. We cherish simplicity and minimal living spaces as there are few benefits: 1) Buying less = saving money which can rather be spent on better quality products and 2) Simplistic space is a healthy environment for a human mind. Every home we create is being thought out with you in our mind. Our goal is your satisfaction which we reach by listening to your ideas and thoughts, consultation and close cooperation with you. We don’t think we know better and you will never be left behind. Creating a cozy home is a time consuming process that requires patience, creativity and a great sense of visual imagination. 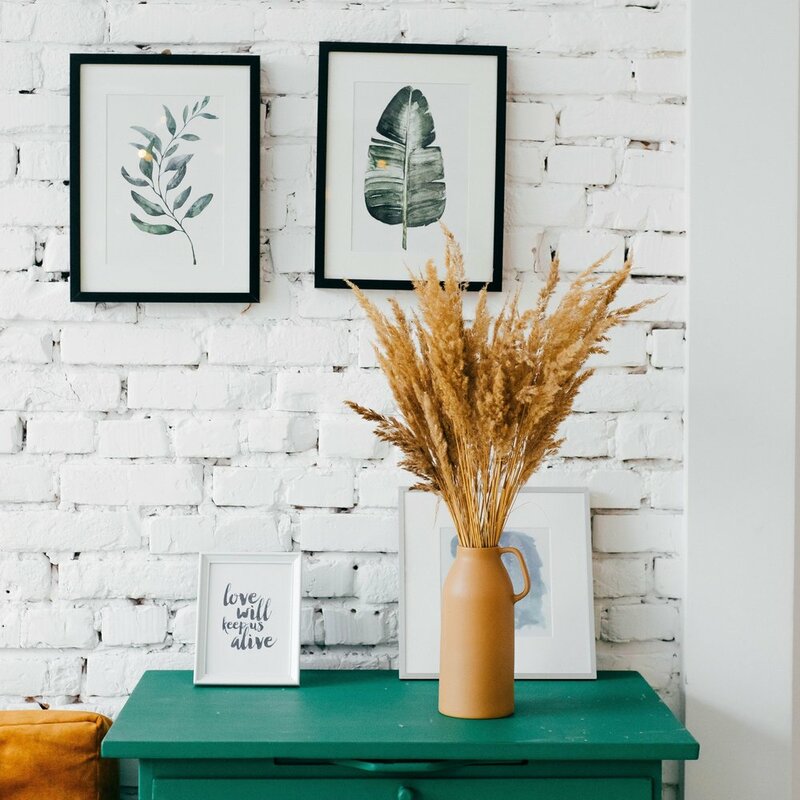 Often we don’t realize that there are many steps such as cleaning, painting, drilling, shopping, buying, connecting cables, managing people, organizing deliveries, shopping again and mainly using creativity to visualize the final looks of your new home. There are many decisions to make and things to consider from lighting to linen materials that all need to blend into one simple masterpiece in the end. Based on your ideas we will prepare a vision for your selected room - colors, materials and furniture ideas. You preview our vision and we will discuss the direction and make sure we are heading the right way. Now its time for a window shopping spree. Snap photos of anything that sparks your attention. Sit in your place and visualize the photographed items to get an idea if and how they will fit. Let us take a look at your treasure hunt and have a chat about what to use and why. Together we pick the main pieces for your room/s. While you are buying those do more window shopping. Build, drill, screw.. Main pieces are in place and its the time to sit and visualize again. 2nd round of window shopping to find missing pieces and start with adding some decoration. Finishing steps, finding missing pieces, adding last ideas and solutions. Its good to know your available budget so we can plan well and think of a good strategy on how and where to start. We have seen it in past how clients plan big and then run out of money before the project is finished. There are many side expenses hidden along the way that can take you by surprise. Think of transportation, tools, cleaning supplies, paint and other handyman expenses that might come along the way. Furnishing a 2-3 bedroom apartment takes a minimum a month if done properly and without a rush. This is considering that you have no damage at your place and need no major construction works to be done. Time includes area research for furniture and suitable stores. You take care of us we take care of you is our formula. We are constantly on the move and creating homes around the world. To preserve the costs at the minimum we can live in the space we are working on which gives us the best possible understanding of it and its use. Our eye sees value in things where others don’t. We use creativity in our process. We are new age thinkers who barter, exchange and make deals that keep your money in your pocket. Your happiness and satisfaction is our goal.